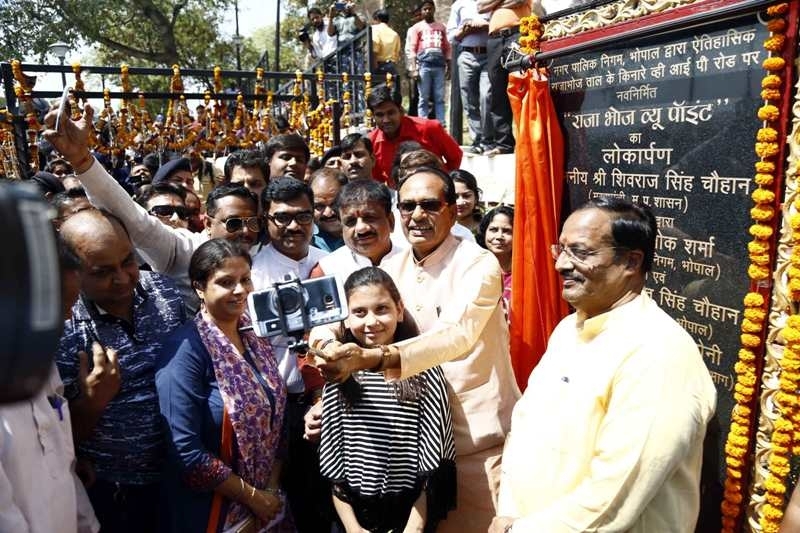 Bhopal: Chief Minister Shivraj Singh Chouhan today dedicated the Raja Bhoj View Point on the Upper Lake side on V.I.P. Road. Mayor Alok Sharma was also present on the occasion.